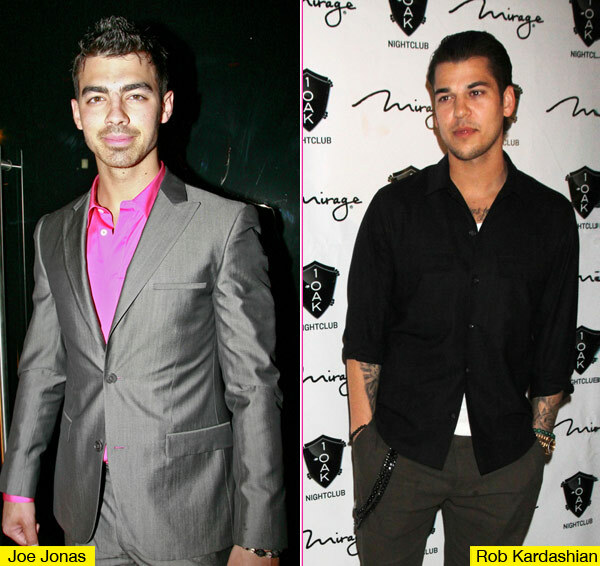 Rob Kardashian and Joe Jonas are joing Ali Fedowtowsky and George Kotsiopoulos in judging this year’s event on June 3! Donald Trump‘s 2012 Miss USA pageant has more celebrities than last season of Dancing with the Stars! Pageant officials announced Rob Kardashian and Joe Jonas are both judging this year’s competition, which takes place in Las Vegas June 3. We bet they are stoked! Joining them on the judging roster are Ali Fedotowsky from The Bachelorette and George Kotsiopoulos from Fashion Police. However, we’re sure Joe and Rob will enjoy the competition the most, since they’re two of the most eligible bachelors in America. The lady who wins the competition — which is hosted by Andy Cohen and Giuliana Rancic — will get to go on to the Miss Universe pageant. Ultimately, Joe and Rob are going to be the winners though. Have fun, guys!